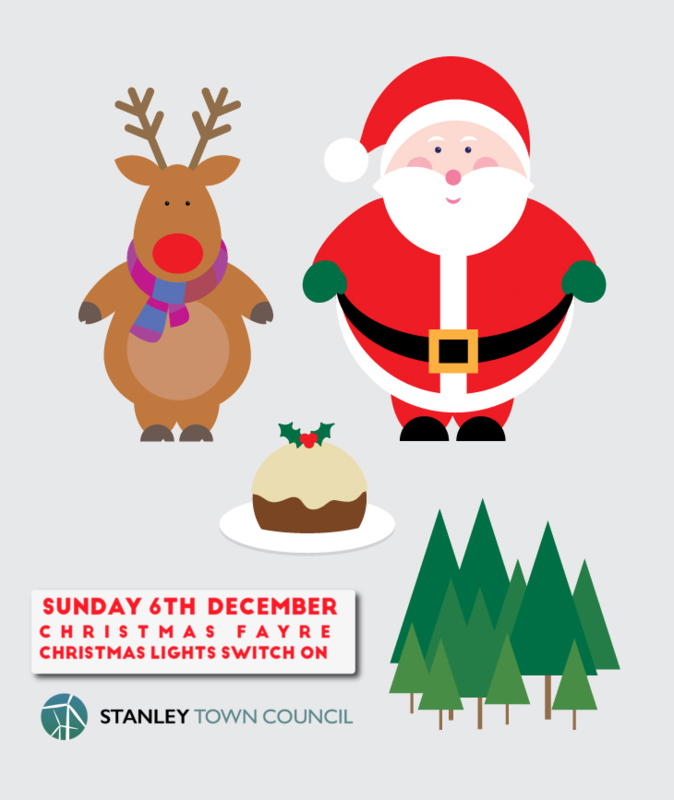 Next Sunday will see the festive season get started in Stanley! 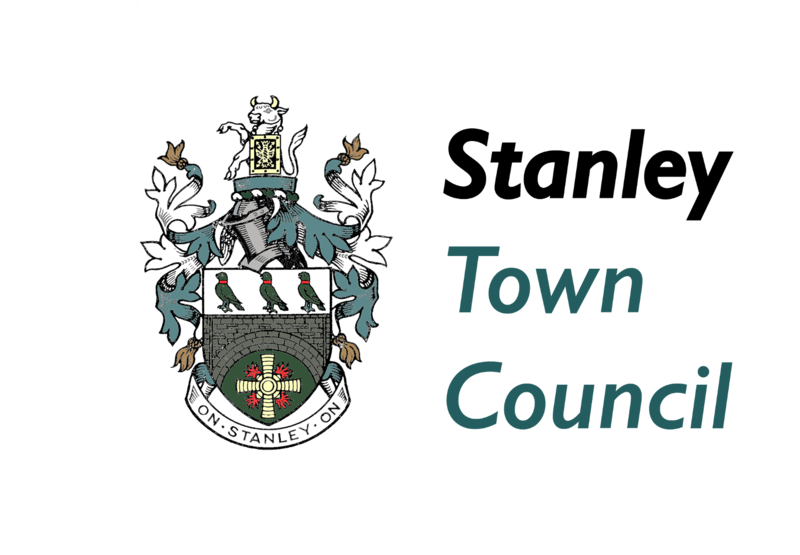 The Town Council has organised a fun family day for everybody. The Christmas Fayre returns to Civic Hall starting at 10am, with lots of stalls selling gifts for all the family. Bring the kids to Santa’s Grotto and stop for Coffee and cake, or maybe a festive mulled wine! 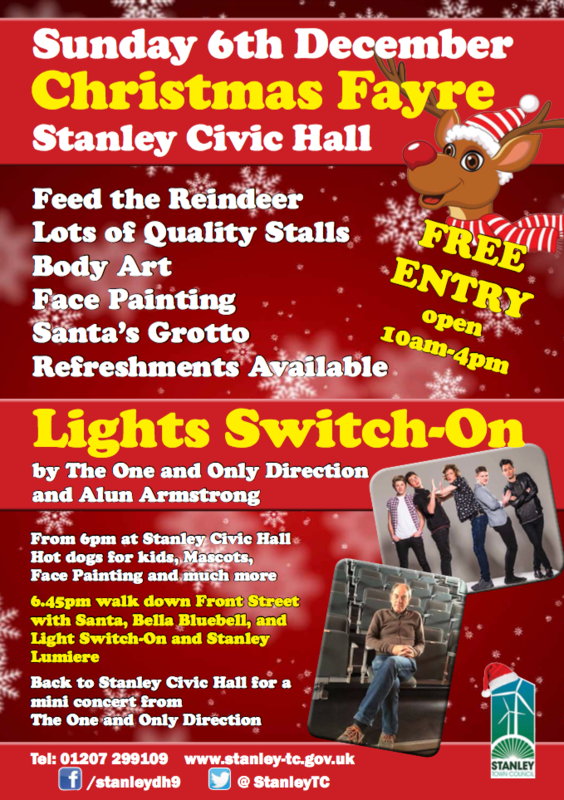 There will be free hot dogs at the Civic Hall from 6, followed by the main event of the day, the switching on of the Front Street lights by local celebrity Alun Armstrong. 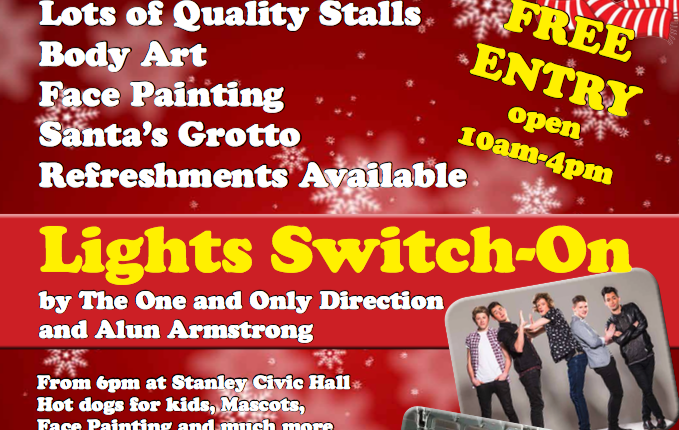 There will be rides for the kids in Front Street and to top the day off, there will be a free mini-concert by ‘One and Only Direction’, the next best thing to One Direction themselves, at the Civic Hall.